Portland company Alima Pure wants your makeup to match. Finding the perfect shade of foundation can be trickier than finding Mr. (or Mrs.) Right. There’s the Casper the Ghost look when you accidentally go far too pale looking sickly at all times. Then there is the orange mask look where pale meets orange at the neckline some kind of odd beauty Creamsicle. Portland makeup company Alima Pure wants to keep that from happening to you. Their Satin Matte Mineral Foundation is not only hypoallergenic it comes in 61 shades to ensure a perfect match for everyone. But how do you know which of the 61 to choose? They thought of that and have a point-by-point questionnaire complete with video and instructions that help guide you to mate. 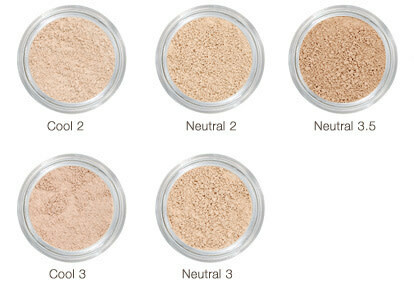 The end result is a suggested sampling of five foundation colors you can mix and match or try separately for several days to see which one you like best. Head to Alima Pure’s Foundation Test to leave the Casper and Creamsicle days behind. The results of a Foundation Matching test.